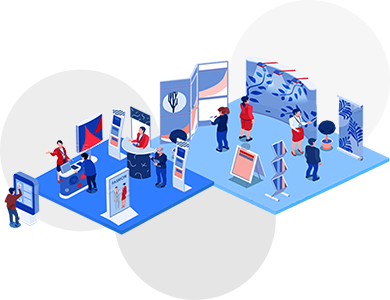 A business always requires an exhibition with attractive stalls, an effective sales team and a unique idea for engaging the attendees to the stand. Renting a large space and exhibiting the product gives an opportunity to communicate more closely with the potential customers to promote the product. As a leading design firm, D’fine art created stall designs for product exhibitions, brand promotions and trade fairs that have helped in raising the market share of corporates from various sectors.